Recently, one of the educational seminars was held in the representative office of InstaForex Company in Kota Bharu (Malaysia). The main theme of the seminar was “Fundamental News Trading – using the macroeconomic news releases as a basis in making a trading decision”. The master lecturer duties of the educational seminars were taken by the best academic in Asia and at the same time one of the leading analysts of InstaForex Company – Asri Mahmood. Due to the fact that the seminar was held in one of the InstaForex representative offices all clients taking part in the seminar have become a participants of the campaign “bonuses for education”. The essence of this campaign is as follows: a client, taking courses in one of the InstaForex offices and paying for them, has an opportunity to open a trading account with InstaForex after he finishes the education. Having opened the trading account trader should deposit amount which is equal or less than the cost of educational courses, and this amount will be doubled. Bonuses credited to trading accounts are not withdrawable, but trader may use them for gaining profit in trade on Forex. So clients, who take courses in the representative offices of InstaForex Company, refund the full cost of education. 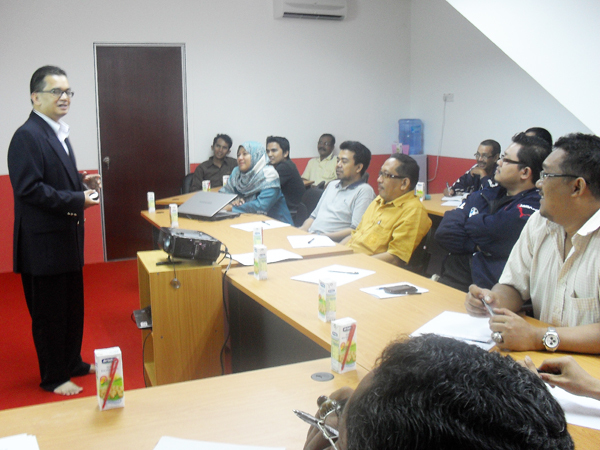 Training seminars are also held in other InstaForex regional offices where the system of bonus credit is similar. So educational courses have been more than successfully held in Kuala-Lumpur, Johor, Shah Alam. Exposition organized by international exhibition brand ShowFx Asia was successfully held in Kuala-Lumpur on 14th and 15th of November. Besides numerous guests, six independent projects took part in the exhibition. InstaForex was one of them. Exhibition in Kuala-Lumpur was held in friendly and professional atmosphere of constructive dialog between financial market participants and users of their services. For numerous traders attended the exposition, participation in this event became a great opportunity to meet representatives of InstaForex and it’s local partners at one platform. During the event, money prizes and gifts were drawn. Besides, numerous souvenirs and bonuses from InstaForex were presented to visitors. Also it worth mentioning that by the end of exposition the company got personalize certificate. Two exhibition days were marked by interesting speeches of lecturers and Forex-teachers, among which we can point out the following projects, themes and lecturers: Choo Koon Lip (Currency Pair Interaction – How to profit from the Correlation, and Choosing the Profitable Automated Forex Strategies to Trade for You); Asri Mahmood (Profitable Median Trading In Ranging Markets and Fundamental News Trading); Ismail Muhammad (High Probability Forex Trading with Japanese Renko Charts and High Probability Trading Setups for Entry and Exit for Forex Market using Insta Pips Hero and Swing Master), and also speeches of Forex Asia Academy representatives. InstaForex thanks all guests of the exhibition and looks forward to see all of them at the next expo, which the company will take part in. On December 4 – 5 the international exhibition ShowFx World took place in Moscow. Awards in more than 10 nominations were handed out within the expo. The most prestigious among them – “The Best Broker of Russia” was taken by InstaForex Company. The decision about InstaForex participation in the event was dictated by the active position of providing services within Russia and Commonwealth of Independent States. As explained by the company’s management, participation in ShowFx World exhibition is a great opportunity to converse directly with the current and potential clients and also to represent new services and possibilities. During 2 days of ShowFx World holding in InstaForex exhibitional sector there was a chance not only to learn about new trading conditions, advantages, trading account types or forms of a client support, but also to win money prizes and bonuses. Besides, InstaForex representatives provided services of online opening and instant depositing of trading accounts. As can be seen from above, the company’s stand was over great demand of visitors during all days of the expo holding. InstaForex Company thanks all exhibition guests and participants, who have visited our stand, and expects to meet them all at the next expo. 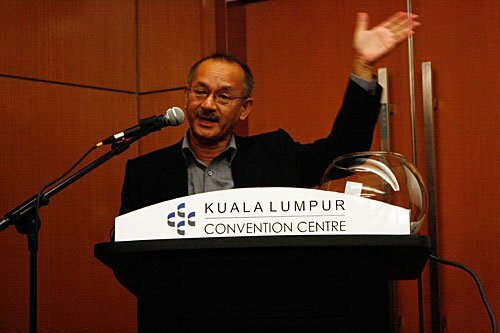 The educational seminar took place on October, 24 in the capital of Malaysia – Kuala Lumpur. It was organized by InstaForex Company in its new Malaysian office in KLCC. Apart from InstaForex representatives, a number of leading international Forex-teachers participated in the meeting. All the seminar visitors received bonuses in the amount of 50 USD to their trading account with InstaForex. The luckiest guests became the owners of 5 trading accounts with 500 USD balance each and one of them won iPod. Stand of InstaForex Company became one of the most attended at the exhibition. Within the Forex exhibition InstaForex raffled 3 laptops Acer Extensa 7630G which were presented to three accidental customers. However there were much more surprises from InstaForex Company: numerous bonuses are being credited already for the clients who made requests during the Forex Expo. Visiting Southeastern Asia Company’s management held many meetings concerning InstaForex development in Asian region. Also InstaForex Company organized range of presentations of company’s services to public at large. InstaForex Company expresses its thanks to World Forex Expo organizers in Kuala-Lumpur and also all guests and partners of the exhibition.